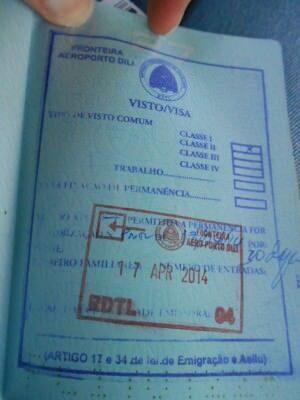 My Visa for East Timor, which I got on arrival at Dili International Airport. My most recent backpacking trip took me to East Timor, also known as Timor Leste. This place only became a country in 2002 which was one of the reasons that intrigued me to it. Another reason is that it completed my “South East Asia on a Shoestring Lonely Planet book” finally in terms of actual countries, after my first visit to the SE Asia region some 7 years ago. But what you want to know is how to get an East Timor Visa on arrival at Dili Airport. So here’s a breakdown for you! 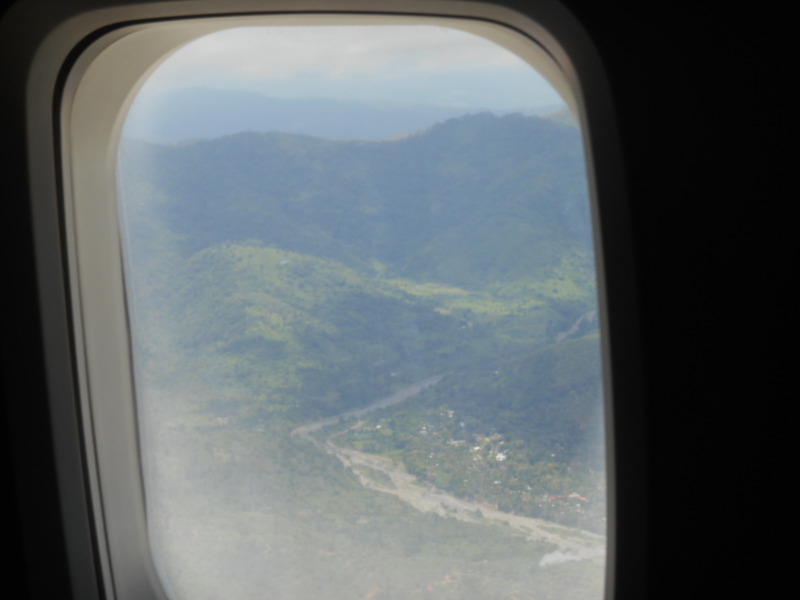 How to get a Visa on Arrival for East Timor. There are a few options for flying into Dili and the most popular airports that you can fly here from are Singapore, Denpasar (Bali) and Darwin. Sriwijaya Airways are the ones I used, I flew from Denpasar to Dili. I flew from Denpasar to Dili. 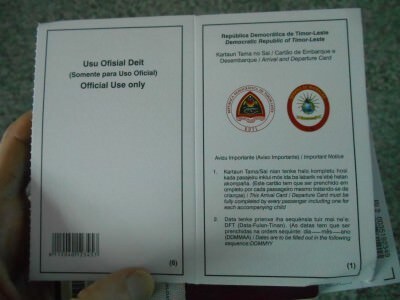 When you check into your flight to Dili, ask them if they have an immigration visa form for East Timor. Some airlines will, some won’t. Mine had the immigration form which was great as I could get ahead of the game and have my visa form filled in before I even boarded the flight. A Guide to Getting an East Timor Visa on Arrival at Dili Airport. 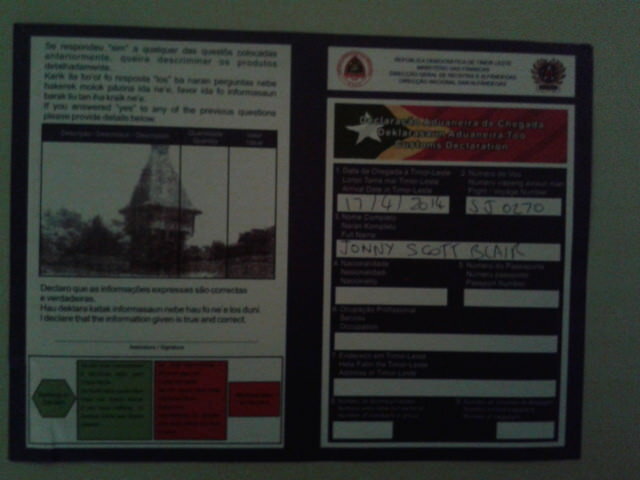 Filling in the East Timor Visa Form is easy. 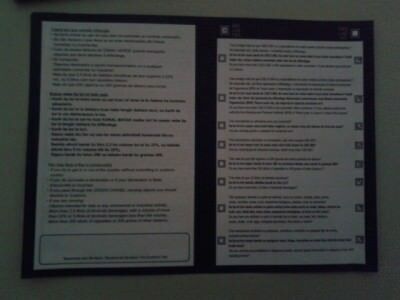 It’s a foldable two sided piece of card and you. If you don’t get one at the airport, ask on the flight. If you still don’t get one on the flight, then no problem – get one when you arrive in Dili International Airport. Though it saves time of course to get this done before you land. 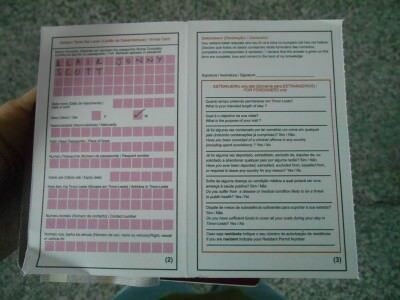 The foldable card – the immigration form for East Timor. The filling in of the form is easy – on the first page it’s just your personal details, where you’re staying, how long you’re staying etc. 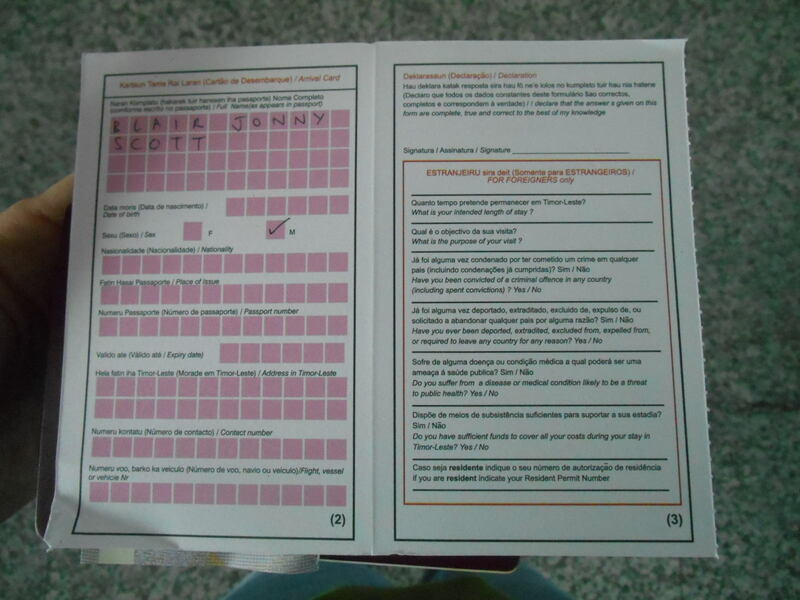 The immigration form – fill in both sides and sign the back. 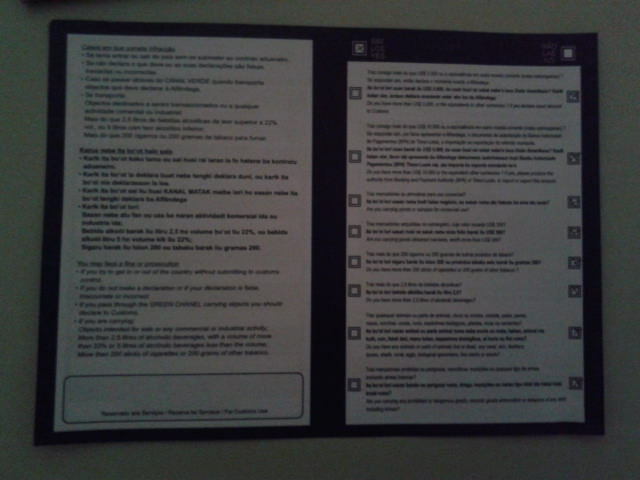 Just put a cross for “no” or “yes” (most of them are “no”) on all the questions on the right hand side of the form and sign it. How to get an East Timor Visa on Arrival at Dili International Airport. Arrival into Dili is tropical and typical of this part of the world. You glide in, with the island to your right hand side and the dreamy blue Wetar Strait to your left. The airport is on the west side of Dili. Think clear blue waters and forested hills. Flying into Dili in East Timor. Once you land, you will walk off the plane onto the ground. This is a small airport so none of those corridors direct to the plane door. I prefer walking down steps off a plane! You know when you have made your first step into that country for sure! 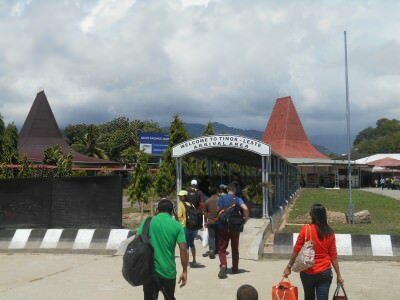 Arrival in Dili off the plane. Which Nationalities Need a Visa for East Timor? 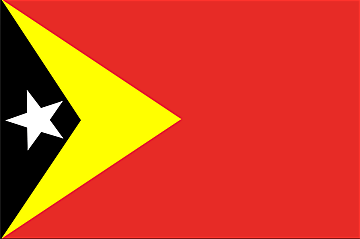 Almost all nationalities NEED a visa for East Timor. 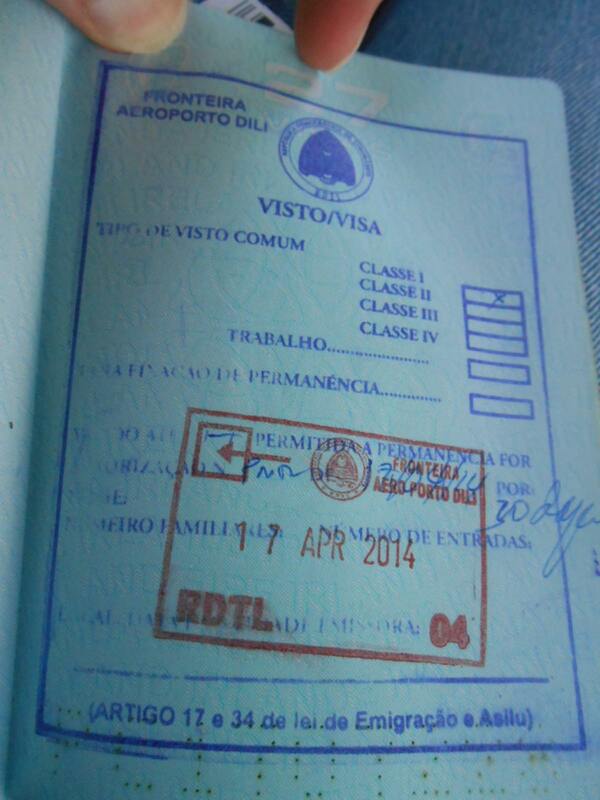 At the land and sea borders to Dili, the visa can be issued on arrival. 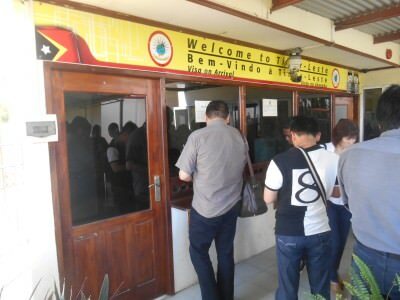 However Portuguese citizens are visa exempt and do not have to pay and Indonesian citizens can get a visa on arrival at ANY border, but they have to pay. The East Timor Visa website has full details. 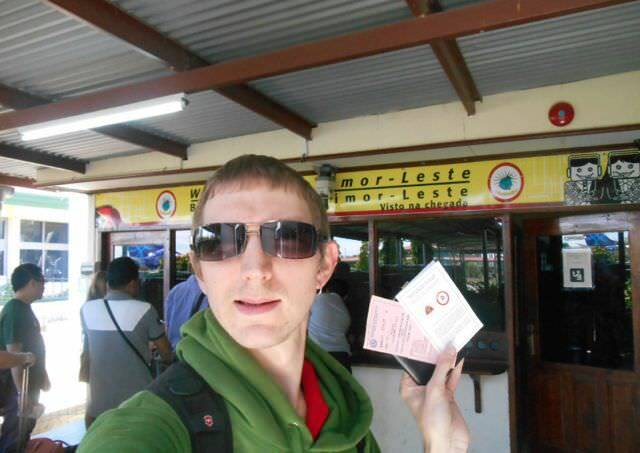 How Long Does the East Timor Tourist Visa last? 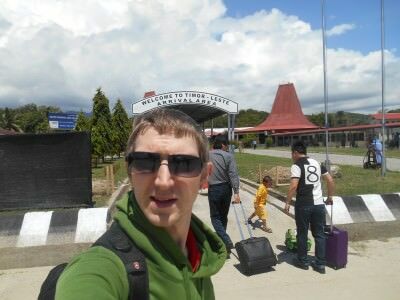 The normal stay for a tourist visa to East Timor is 30 days. It is possible to apply for one and be successful for a 90 day visa, but ONLY with a visa in advance at a land border. The tourist visas issued at Dili Air and Sea Ports will be a maximum of 30 days. You walk down a sheltered outer corridor to the immigration booth. Despite the fact that there are only 3 windows open here, the visa process is fast and efficient. There were a few people in front of me coming off the flight but it turned out they were all locals so they didn’t need to queue for a visa. Step 1 – Paying for the Visa. I was actually the first from our flight to get the Visa. I handed in the forms and paid my $30 US Dollars at the booth. It’s very simple. $30 US Dollars in cash is the only form of payment accepted, remember my tips on always travelling with US Dollars. You can also get a transit visa for $20 US (this one is good for 72 hour stays – proof of onward flight will be needed), a work visa $50 US and a student visa for $40 US. Most people will be getting the 30 Day Tourist Visa. 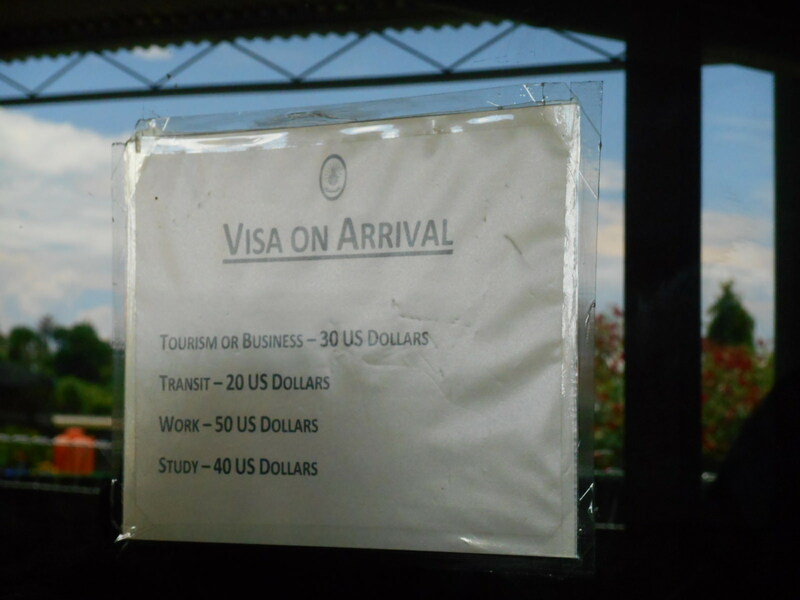 Visa on Arrival Options in East Timor. You pay them $30 US in cash and they stamp your passport with the visa (full page stamp) and hand you a sheet of paper that confirms you’ve paid for it. The sheet of paper is pink and confirms what visa you bought and the fact you paid for it. A tourist visa is a $30 US Class 1 Visa. 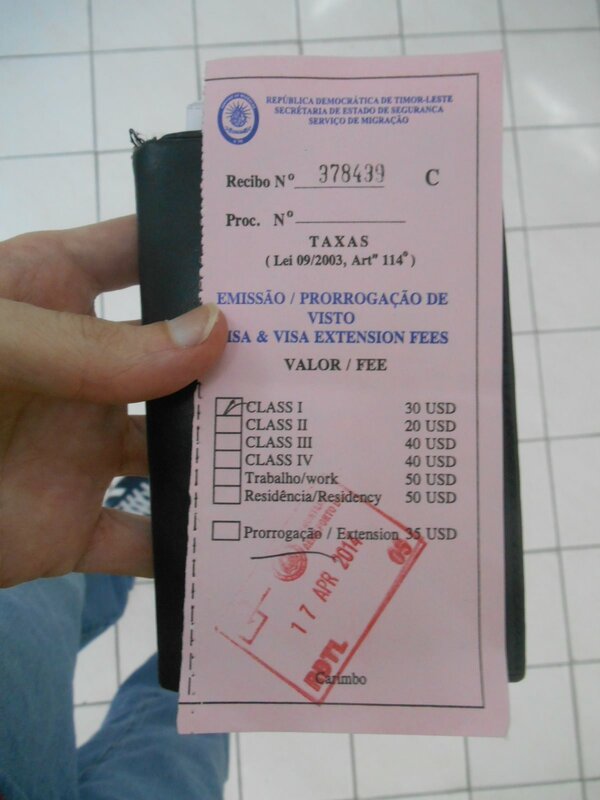 The pink form that you get when you pay for your East Timor Visa at the first booth. That’s step 1 at the first booth. It’s an easy 3 step process to getting your visa. The immigration booth at Dili Airport in East Timor. 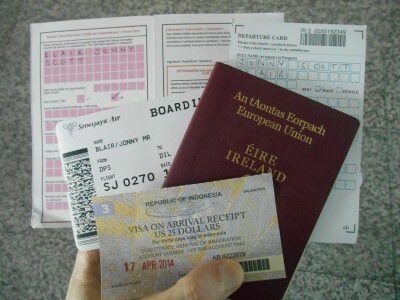 Step 2 – Going Through Immigration is going through immigration itself where they collect the sheet of paper and proceed to put a red stamp on top of the blue stamp visa that you got at the first booth. A tourist visa lasts 30 days – they will also write this on your visa (extensions are available). The entire process of getting the visa at the airport takes less than 5 minutes, and my flight was almost full. Paid for my visa and heading through Immigration. Step 3 – Customs Declaration – If you have bags to collect, collect them off the conveyor belt and then fill in a goods declaration form. It’s a very simple form, and you hand it to the officer just before leaving the airport. 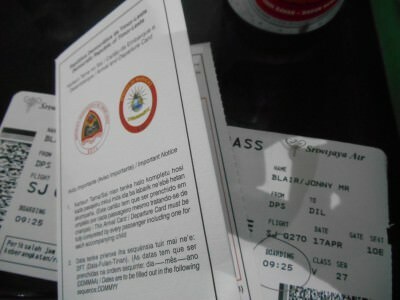 The Customs Declaration Form at Dili Airport, East Timor. So basically it’s a three step process from the moment you get off the flight until leaving the airport. And so that’s it – a fairly straight forward visa to get at the airport (I can’t speak about the land border visa issuance, or the visa application in Indonesia) but you are now free to enjoy East Timor which is a Catholic country with a Portuguese influence. 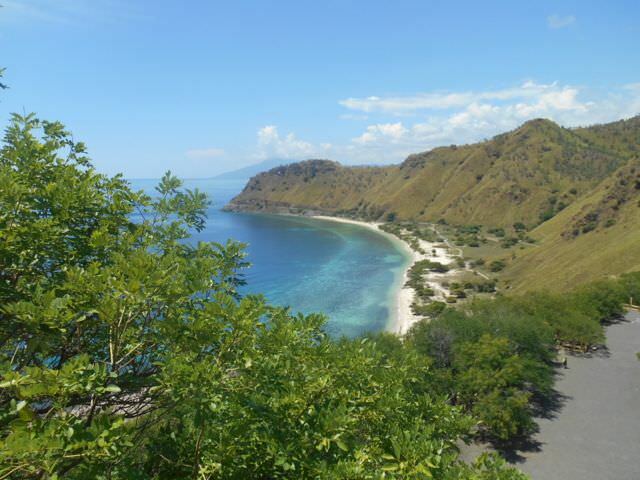 It’s a great place to go backpacking in and I look forward to writing about my adventures in East Timor. I based myself in Dili at the awesome East Timor Backpackers during my time there. This entry was posted in Asia, Destinations, Dili, East Timor, Visas. Bookmark the permalink. U have really help me with this. I’m planning to travel to timor leste but am confused on how to get flight from jakarta. Will they give me stopover permit in jakarta for me to connect my flight the next day? Or will they allow me take a domestic flight to bali before i can get to dili. Dear Han, I thank you and welcome to visit Timor-Leste. 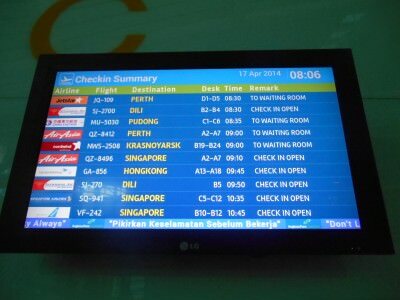 There is no direct flight from Jakarta to Dili. 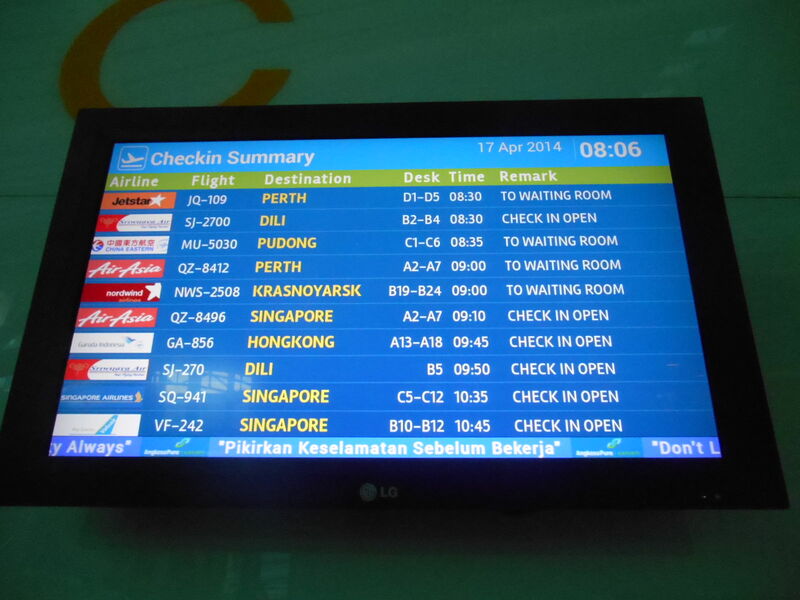 You have to catch early morning flight (05:00/06:00AM) from Jakarta to Denpasar then connect to Dili in the same day. There are two flights a day from Denpasar to Dili with Sriwijaya and Citilink.